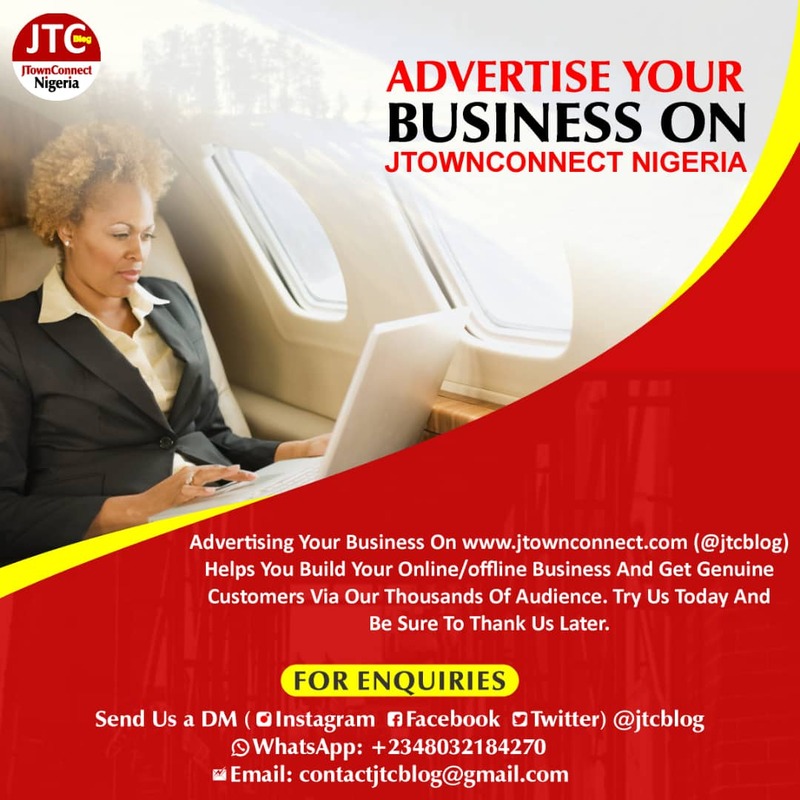 Once again, JTownConnect.com.ng dishes out 9 top Nigerian Musicians produced by our great city Jos our pride, relax and read through! Number one on our list is 2baba! 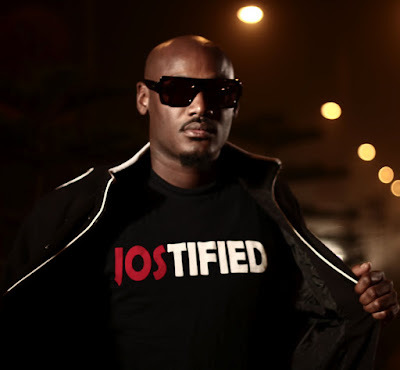 2Face: Real name Innocent Ujah Idibia (born in Jos, Plateau State, Nigeria), better known by his stage name 2face Idibia, is a Nigerian singer-songwriter, record producer and entrepreneur. He officially discontinued the use of the name Tuface and selected Tu-baba as his stage name. He is one of the most decorated and successful Afro pop artists in Africa. He is also one of the most bankable artists in Africa. Innocent Idibia was born in Jos, Nigeria (JTown). He is from the Idoma ethnic group in the southern part of Benue State, in central Nigeria. He attended Saint Gabriela's Secondary School in Makurdi, Benue State. He enrolled at Institute of Management & Technology, Enugu (IMT), where he did his preliminary National Diploma course in business administration and management. While attending IMT, he performed at school organized shows and parties, as well as other regional schools such as the University of Nigeria and Enugu State University of Science & Technology. He eventually dropped out to pursue his music career. While attending IMT, 2face Idibia started composing and singing jingles at the GB Fan Club at Enugu State Broadcasting Services (ESBS) in 1996. Also in 1996, he adopted the stage name "2Face" (Tuface). He cited the reason as "trying to demarcate my personal life with my business life. Plantashun Boyz released two successful albums: Body and Soul (2000) and Sold Out (2003) under the Nelson Brown's owned Label (Dove Records) before disbanding in 2004. Relations were marred for many years during which the band broke up and started their solo careers. Long after the break-up known as the "Faze vs Tuface" beef, the band came back together in 2007 for the purpose of recording a third and final album entitled Plan B (2007). P-Square: The story of P-Square began in St. Murumba secondary school (Shout Out To My fellow Murumba boiz/girls), a small Catholic school in Jos, Nigeria. Twins Peter and Paul joined their school music and drama club where they began singing, dancing, and mimicking songs by MC Hammer, Bobby Brown and Michael Jackson. quartet called "MMMPP" (M Clef a.k.a. Itemoh, Michael, Melvin, Peter and Paul). Drawing inspiration from their music idol Michael Jackson, they began break dancing, formed the group called "Smooth Criminals" in 1997. They dropped M Clef from the group "MMMPP" which later was changed to "MMPP". Their artistic talent and precise dance routine soon made them household names in the city of Jos, where they performed at school functions and other occasions. Later in 1999, Peter and Paul returned to music school to develop their skills on the keyboard, drums, bass and rhythm guitar. Their work includes the soundtracks for a number of films like Tobi, Mama Sunday, Moment of Bitterness and Evas River. Later in 1999, they applied to the University of Abuja to study Business Administration. The Smooth Criminals disbanded when its members left to various other universities. Subsequently Peter and Paul formed their own group, variously called "Double P", "P&P", and "Da Pees", until they eventually settled on "P Square". They are managed by Bayo Odusami aka Howie T, a seasoned concert promoter and the CEO of Adrot Nigeria Limited. In 2001, "P-Square" won the "Grab Da Mic" competition, and hence Benson & Hedges sponsored their debut album, titled Last Nite, which was released under Timbuk2 music label. P-Square was also nominated as "Most Promising African Group" in the Kora Awards three months after the release of their debut album. They eventually won the 2003 Amen Award for "Best R&B Group". In 2005, they released their second album, Get Squared under their own label, Square Records. This album was marketed nationwide by TJoe Enterprises, although they were still managed by Howie T of Adrot Nigeria Limited. The video for the second album held the #1 position on the MTV Base chart for four straight weeks. They have an ever growing fan base across South Africa with a particular stronghold of diehard fans in Cape Town. The group has performed alongside the following international artists like Ginuwine and Sean Paul, Akon. 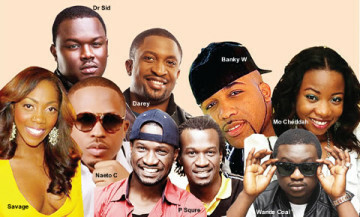 The members of P Square are now located in Lagos. Late in 2007, they released their bestselling album so far, Game Over which sold 8 million copies worldwide. In 2009, P-Square released their fourth studio album, Danger. The album features collaborations with 2 Face Idibia, J Martins and Frenzy. The first single called "Danger" is a hip hop song with cutting synths and a frog bass baseline similar to an Eminem song. The video affirms this with the presence of clowns and staggered movements in front of the camera reminiscent of comical videos by Eminem. They are also known for the close resemblance which the twins have to American R&B Superstar, Usher Raymond. On 4 April 2010, P-Square was named the Artist of the Year at the Kora Awards in Ouagadougou, Burkina-Faso while they were in London for a Concert at the Troxy, and they will receive a sum of $1 Million Dollars as the award winners, in Ebebiyin City. On August 29, 2014, P-Square released a single track featuring a top America Artist T.I. 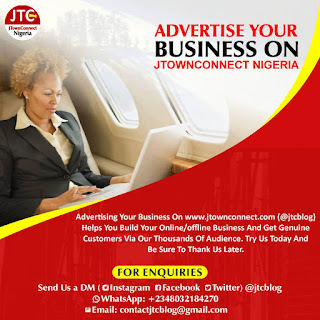 which P-Square titled EjeAjo, EjeAjo official video featuring T.I. was also released 29 August 2014 on both TV stations, Radio Stations and Web blogs. 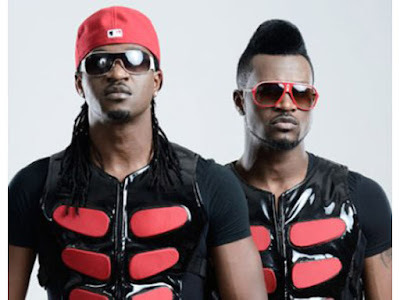 On September 14, 2014 P-Square released their 6th studio album titled Double Trouble. On October 8, 2015 P-Square both got a range rover jeeps from Glo as wonderful ambassadors to Glo especially with their sponsorship of the #DanceWithPeter TV/ Radio entertainment programme worldwide to bring dancers worldwide to show case their talents for outstanding prizes organized by Peter Okoye. MI: Real name Jude Abaga (born 4 October 1981) better known by stage name 'M.I' or 'M.I Abaga', is a Nigerian hip hop recording artist and the current CEO of the Chocolate City Music. He has won several awards including the MTV Africa Music Awards 2009. He was nominated in the Best International Act category at the BET Awards 2010. He rose to prominence in 2006 when his song "Crowd Mentality" became popular in his hometown of Jos (JTown). On 11 December 2008, M.I released his critically acclaimed debut album, Talk About It. Jude was born in Jos, Plateau State. His parents, Pastor and Mrs Abaga from Takum, Taraba state, both of Nigerian descent. He attended Baptist High School, Jos where his mother purchased basic music notations and later, a 7-key mini piano which launched him into the music world. Jude has two brothers, Jesse Jagz who is also in the Nigerian and African music scene, and Jason Abaga. During Jude's adolescence, he would listen to tracks from Lauryn Hill, Bob Marley, Sarah Maclachlan, Pablo Neruda, Jay-Z and DMX. Jude's venture in the hip hop world started with the sampling of musical works from DMX and Lauryn Hill as early as 1998. After his stint at Calvin College, Michigan, US, he delved into poetry while pursuing a career in Business and Economics. There, he performed regularly at the school's major hip hop shows and concerts. His impressive rap flows and attitude gained him a third-place finish at the Calvin College show tagged 'HipHopera' in 2003, which was actually the only "hip hop show" that Calvin College ever had. M.I. also made some amateur attempts at comedy, but decided to stick to music because he was embarrassed when nobody laughed but him. Jude began his music career when he returned to Nigeria in 2003. Finding his place in an industry dominated by the likes of Modenine, Ruggedman and Eedris Abdulkareem, he quickly commenced the production of mixtapes with his friend Djinee. This led to the critically acclaimed single "Safe", (a song which he parodied popular Nigerian songs in its lyrics) which has gathered impressive airplay by African radio and music video stations such as MTV Vibe. The track also earned him awards at the Nigerian Music Video Awards, City People, N.E.A amongst others. The hype surrounding the release of Safe led to the critical acclaim given to his first studio album titled Let's Talk About It and was rated 8.5/10 by Oye Akideinde of 360nobs. The album gathered awards such as Musician of the Year (Modemen Awards in 2008), Best Hip Hop Artist (City People Awards). His first mixtape was PYERIBOY. He later went on to bring out a sample mixtape, ILLEGAL MUSIC,in which he fully exploits his lyrical prowess. Back in Jos Nigeria, he teamed up with his brother, Jesse Jagz, IcePrince, Ruby, Threadstone, Lindsay, Moses (Elbulk), E kelly to form a record label, called LOOPY records, and they perform every Sunday at an open bar, with a theme tagged Jam Session. 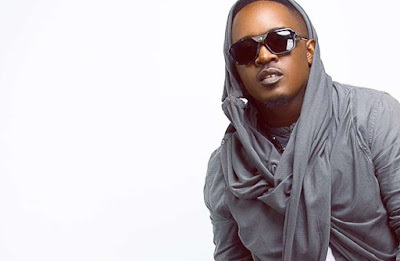 M.I was later signed to the Chocolate City company, a renowned music label in Nigeria, which made him move from Jos city to the nation's capital Abuja and also influenced the beginning of his successful career in the Nigerian music industry. He has also received international recognition in South Africa from the popular Channel O music Award, MTVbase Awards and also the American BET Awards. A proficient producer, lyricist, songwriter and instrumentalist, M.I has been described by DIV as the future of African hip-hop. He has produced and featured on the works of artists like, Don Jazzy, Threadstone (Nigeria's first rock band ,Kel, Djinee, Shifi (Styl Plus), Jesse Jags, Ice Prince, Ruby, Lindsey, Leony, Wizkid e.t.c. He also runs a production company, Rytchus Era Productions with his brother Jesse Abaga (Jesse Jagz). In 2013 he was appointed by Nigerian telecommunication company Glo Mobile as a brand ambassador alongside other Nigerian artistes like Omawunmi, Burna Boy etc. He was also a judge in Glo X-Factor, the Nigerian version of the reality singing show in 2013. 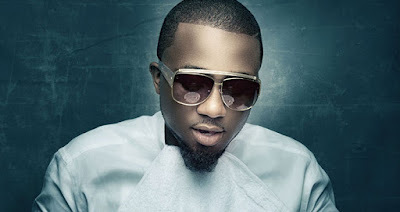 Ice Prince was born Panshak Henri Zamani in the city of Minna, Niger State, Nigeria. At age two, he moved with his family to the mining city of Jos, Plateau State, Nigeria. While residing in Jos, he attended St. Murumba College. He also attended the Science Tutorial College in Jos. "Life was not that rosy. When my dad was alive, life was pretty much rosy but I lost my Dad in 1999 and it was my Mum that was taking care of me up until she died too. So it was kinda hard to get by, really. I dropped out of school in my 100Level to focus on my music. I moved to Abuja and started living with MI and Jesse Jagz. We were making music, doing some small small shows just to get money. Then we moved to Lagos, we got a chance to chill at Djinee’s house. Djinee gave us some space in his house to sleep. Djinee is like my Jesus. He came through for us. We lived in his house and made it very uncomfortable for him but he took all the pain and accommodated us. This was in 2008. Gradually, there was steady growth. We got our own place, started making music. In 2008, I hosted Sprite Triple Slam. We did 30 shows, 15 in Lagos, 15 in the East. I got some small money off that to buy some new jeans and shoes so that girls would, you know, say hi to me when they see me." In 2004, Ice Prince released his debut single "Extraordinary". "Rewind", another single he released, received radio airplay in Lagos and Abuja. 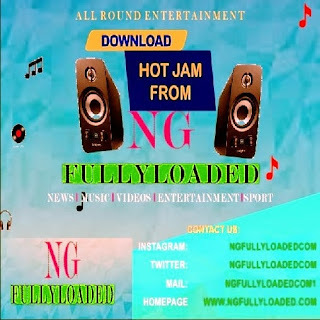 It charted on Rhythm Fm's "Top 7 chart", Notjustok's "Hype", Unilag FM, Zain Central Station, Inspiration Fm, Top FM’s "Top of the Morning", Cosmo FM's "Top Hits", Africa Connect Chat Show, and Kiss' "Top 20 Africa". Moreover, it charted at number 1 on Cool FM and Vision FM in Abuja. Jesse Jags: Real name Jesse Garba Abaga (born 10 August 1984), popularly known as Jesse Jagz, is a Nigerian rapper, singer, producer and songwriter. In April 2015, he re-signed with Chocolate City after leaving the label in May 2012 to establish his own imprint known as Jagz Nation. Jesse Jagz (Jesse Garba Abaga) has been described as Nigeria’s Kanye West because of his flirtatious experimentation with different genres of music from R&B to roots reggae to pop all built on a predominantly hip hop foundation. Though a native of Jukun in Taraba State, Nigeria Jesse grew up in Jos, Plateau state in a music-filled environment where both parents (clergy) gave him access to the church choir and drums set by age 7. He recorded his first album with a group named Gospel Insanity. Unfortunately, the album never got released due to fallout of some of the members. Jesse thereafter started producing beats professionally and formed another group, "Eleven Thirty" which quickly became a huge success in Jos. In 2004, he hooked up with his brother Jude Abaga, a.k.a. MI; together they started Inner Hub Studios. By 2006, Jesse started a solo career with a debut-hit "Africa" that remained at #1 on the cool fm chart for months. Between 2006 and 2007, Jesse Jagz had three songs simultaneously dominating the top ten charts on Cool FM, RayPower FM as well as Rhythm FM! becoming street anthems in and around the north of Nigeria. Jesse Jagz hit songs include "Nobody Test Me", "Bend Down Low", "Sugar Cane Baby", and "The Greatest", while his hit song "My Brother" was selected as part of the International Music Entrepreneur of the Year (IYMEY) 2008 compilation. In February 2009, the Award nominated producer and hip hop artist was selected to represent Nigeria at the 2009 edition of Sauti Za Busara Music Festival – a yearly international festival celebrating East African music and features top-quality musical performances by more than 400 established and upcoming artists (40 groups in total) and over the years has established itself as one of Africa’s leading music festivals which held in Zanzibar, Tanzania. 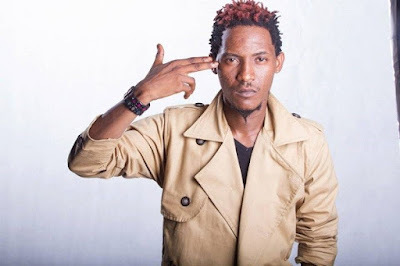 Jesse Jagz's hit singles "Wetin Dey", "Pump It Up" and "Nobody Test Me", in which he featured fellow artist Ice Prince and brother M.I (both rap artist), were chart toppers around the whole country. His production credits include M.I, Modenine, Silver Saddih, Banky W, Majek Fashek, Ruby, Ice Prince, Faze, Djinee, Kel, Shank, Tosin Martins, Sasha, Djah Djah (def jam poetry), Kahli, Pherowshuz among a host of others. His debut music video, "Pump It Up", was released in November 2009 and got him positive reviews. He released his debut album, "Jag of all tradez " in 2010 to critical acclaim. He was notably absent from the music scene in 2011 and 2012, returning in 2013 with a reggae infused style. He released the singles "Murder them" and "Redemption" in the 1st half of 2013 after parting ways with Chocolate City Music. The singles were released under his new imprint, Jagz Nation. In June 2013, Jesse Jagz left Chocolate City and released his second album (his first as an Independent artist) "Jagz Nation Vol 1; Thy Nation Come ". With him rapping, Singing and handling most of the production on his first album, Jesse Jagz chose to seek the help of other producers such as Samklef,Shady and KidKonnect on his second album instead. The album features the likes of Brymo and Wizkid on it. 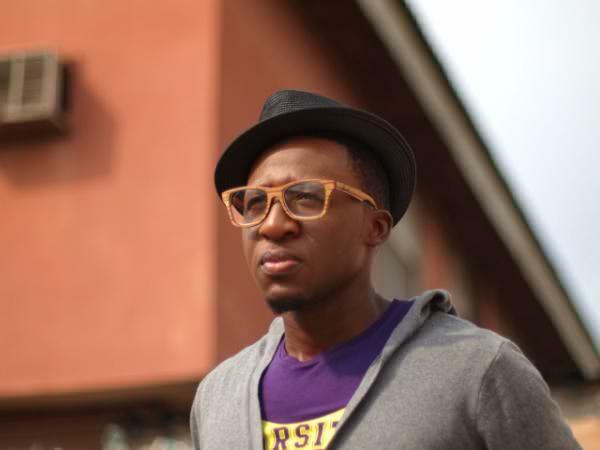 Bez: Real name Emmanuel Bez Idakula was born in 1983, in Jos in central Nigeria. He grew up in a musically inclined family, listening to gospel and country. As a child, he sang in choirs and began playing his father's guitar at the age of nine. His parents recorded duets, with his mother singing and his father playing the guitar, while Bez and his younger brother, Anyidakula Idakula, and his two sisters, Eunice Chiedu and Lydia Sobogun provided a sing along audience. Growing up Bez spent his time fixing things, and dabbling in painting and sketching. Bez lost his father, who was a politician and Gubernatorial Candidate for Nasarawa State in Nigeria, at the age of twelve. His family's finances crashed as a result and he could hardly afford to pay the rest of his tuition for high school. An anonymous person paid for his High School education. In College, he received help paying his fees, as well. Upon finishing Loyola Jesuit College, Bez attended and graduated from Covenant University in 2007 with a BSc in Information and communications technology. He sang at open mic nights while at university. One of such open mic nights was called Taruwa ("gathering" in the Hausa language), where the platform encouraged artists to share their talent through music, poetry, the spoken word and art. Here Bez played every two weeks and met Praiz, who he later collaborated with on "That Stupid Song". Later, he read He-Motions by Bishop TD Jakes and other spiritual and self-help books, which led him to the view that his purpose in life is to add value to the world through his music. Bez's album Super Sun was released in 2011, and includes the single "That Stupid Song". The Boston Globe placed this song at number 3 in its top ten world music albums of 2011, calling Bez a "superb alternative-soul singer". Connect Nigeria called it "unusual and just a perfect blend for a debut album"
In an interview with Vanguard Nigeria, Bez stated "That Stupid Song" was created accidentally when someone entered the studio requesting "a stupid song". Bez's producer, the talented song writer and music producer, Cobhams Asuquo, thought to create a song that was a mixture of different songs they sang while growing up. They invited Praiz to do a collaboration with Bez and they recorded "That Stupid Song" the next day. In November 2013, Bez premiered the first single off his second album, My Baby also produced by Cobhams Asuquo, to be released in 2014. The title and release date are currently unknown. In the interview of April 2013 with Vanguard Nigeria, Bez stated that his next album will be a slight departure from the sound he is known for, stating he will be putting a more African sound in his music and rock while keeping the soul present in the music. This may make the music a bit more mainstream. Bez's music video of "That Stupid Song", premiered on the renowned BET's 106 & Park, an American hip-hop and R&B music video show, in January 2012. He was the first African artist to world premiere his music video on BET and the first Nigerian artist to do a solo show at the iTunes store in Soho, New York. He also had a show at the iTunes store in Santa Monica, California for Black Music month in June 2012. Jeremiah Gyang: Real name Jeremiah Pam Gyang, known with the stage name (Jeremiah Gyang), A native of Jos, Plateau State in Northern Nigeria, Jeremiah became conversant with the Piano and Guitar before reaching the age of ten. His father, late Rev. Luke Dung Gyang was a revered and well known musician in Jos in the 1970’s and ‘80’s whose musical influence on his son can be likened to the influence of Fela Kuti on Femi Kuti. Like most music greats, Jeremiah’s journey began in the house of God where he led the choir as music director. Often credited as being responsible for bringing contemporary Hausa music to the mainstream with hits like 2004’s rare gem: ‘Na Ba Ka’ ( I give you) which featured Six Foot Plus and skyrocketed him to national consciousness, then 2006’s ‘Kauna Allah’ (God’s Love) which features Rapper, M.I on the first version and 2009’s ‘In Love With You’ which, though sung in English, is laced by Hausa influenced instrumentals. 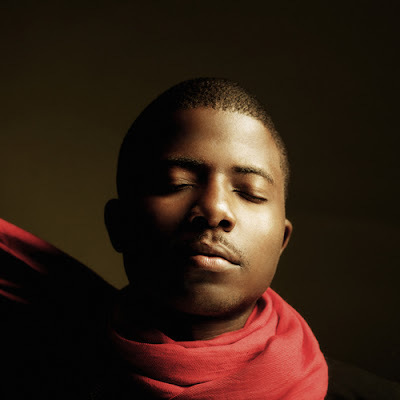 Jeremiah’s music has been described as a fine blend of soulful African rhythms, blues, rock and gospel. His ability to pen songs like ‘African Child’ where he describes the effects of the horrors of war on the African child, sung perfectly with intense lyrics to the soulful sounds produced by the gentle plucking of his Guitar’s strings marks Jeremiah as a songwriter of extraordinary talent. A spectacular Live Performer, Jeremiah had regular live performances at the prestigious Sheraton Hotel & Towers, Abuja for a few years where he was a constant delight to visiting foreigners and Nigerians alike. Jeremiah has performed at many concerts around the country. As a Music Producer, Jeremiah Gyang produced his first piece of music at the age of eleven in his dad’s music studio. In later years, he worked for a while at Quest Media Studios in Abuja, where he produced songs for artistes like Age Beeka, O.D: Over Dose, Asa,Terry da Rapman and Bouqui, M.I abaga. He also produces TV and Radio jingles. Multiple awards, nominations and honours have come the way of this artiste since his début album, such as Best Artiste in the FCT – Cool FM (2005), Man of the moment – True Love magazine (December, 2005), Album of the Year – Hip Hop World Awards and Song of the Year – Hip Hop World Awards. Recently orphaned with the death of his mother, the double tragedy of losing both parents at a young age has affected Jeremiah more than any musical accomplishment or failure ever could. But he has drawn strength from this and will only continue to make great music. Mista Seth: Mista Seth born Real name Retyit Seth Maxwell Dayok is a skilled sound engineer from the prestigious SAE, a Jos based musician unique producer, prolific song writer and a gifted vocalist who has brought out the best in many-Rugged Man, Solomon Lange, Mode 9, Six foot plus, Samsong,Terry Da Rap Man (TR), Steve Williz among many. His work speaks for itself as many say that he is a master of producing hits, some say he is the next big thing; others call him a blessing, a great leader, a force that is taking over the entertainment industry in Africa; he is all those and more, and also sees himself as a messenger ready and willing to do the master's wish. Charass: Real name Victor Chinedu Onyewuch started in his school days at F.C.S. He represented his school in Music and Sport competitions. A delay in quest for admission into the University after his secondary education pushed him to focus and explore his music talent. 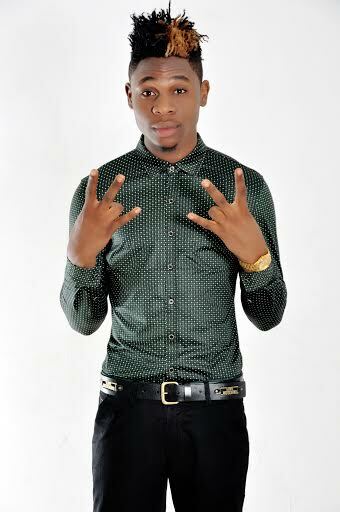 In the process, he formed a group called Best–Team with his friends, Emmanuel Obiako also known as Young I.B and Chukwuka O. Michael also known as Chupizu. The coalition birthed singles like “Omalicha” and “So Fly” and they still make music together till date. Mr. Charass was later spotted by the C.E.O of MMM Records, Patrick Edgar Obi and was offered a record deal which he gladly accepted and started recording immediately. One of the outcome of their deal is “Tinini Tanana”; according to his management, he’s already working on his first album. Charass is from Mbaise LGA of Imo State, Nigeria but was born and bred in Jos. Asides singing, he is a very good dancer. This is really cool i must say, Jos is really trying her best in the production of stars! The next we wanna see is top bloggers from jos!! !